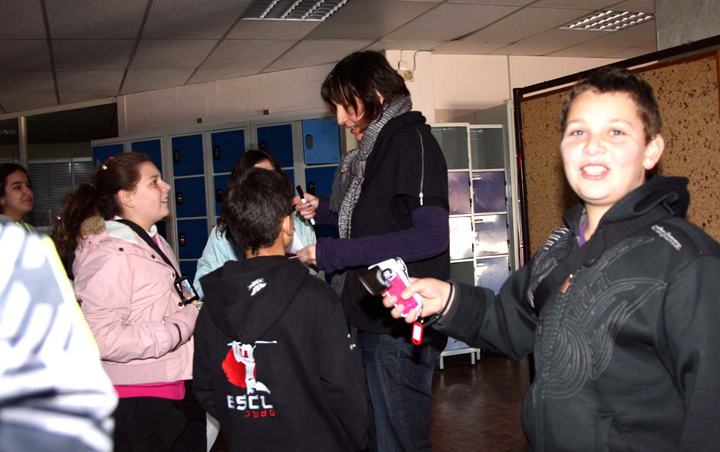 Film made by students of the high school La Fourragère, Marseille, during a workshop, seven stories "Le tribual", "Devoirdale", "Dis lui ou dealer ? ", "M. ou le téléphone ? ", "Pomme", "du chocolat en barre", "Mcdo ou Burger King". Film made by students of the high school La Fourragère, Marseille, during a workshop with as theme "Shooting, Stance". 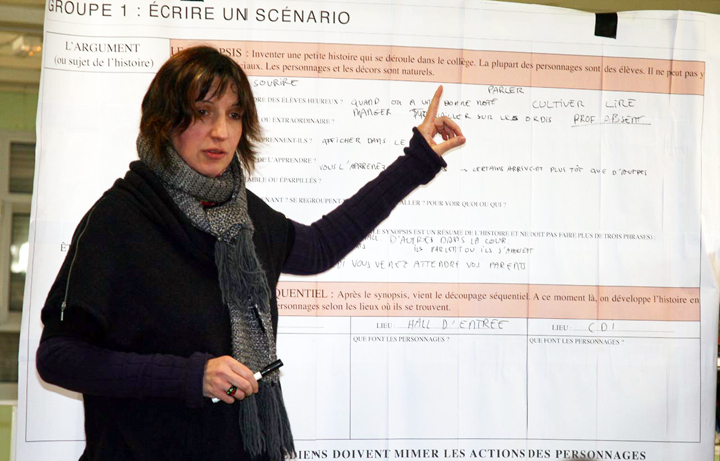 Film made by students of the high school La Fourragère, Marseille, during a workshop with as theme, critical analysis of the media. 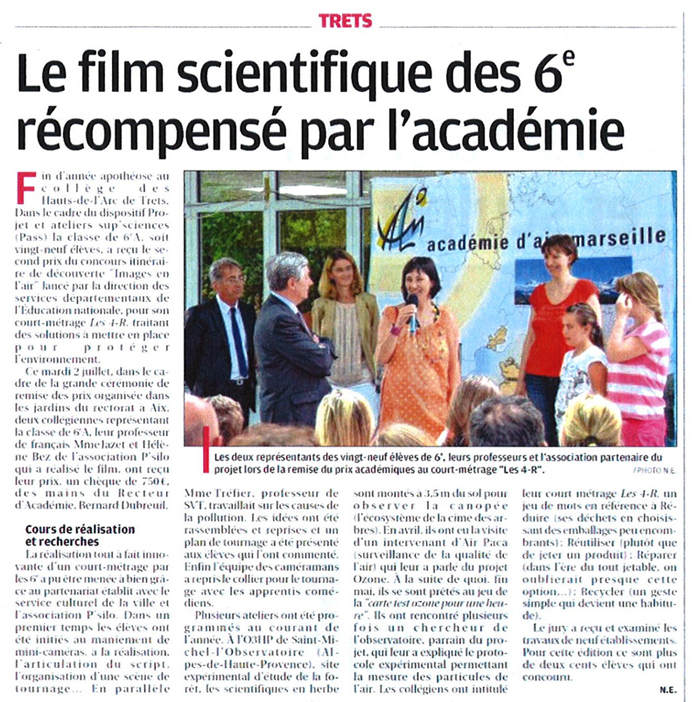 "Les 4R" received 2nd prize of the contest "Images in the air" issued by the Directorate of departmental services of Education and was screened in June 2013 at the Casino Cinéma of Trets. So that students of this workshop can be fully stakeholder in this embodiment, the film is built on their daily lives schoolboy. Technical constraints are eased, based primarily on the image. Indications are given for acting and filming plans, directions often interpreted at the whim of 25 actors and the four young cameramen.